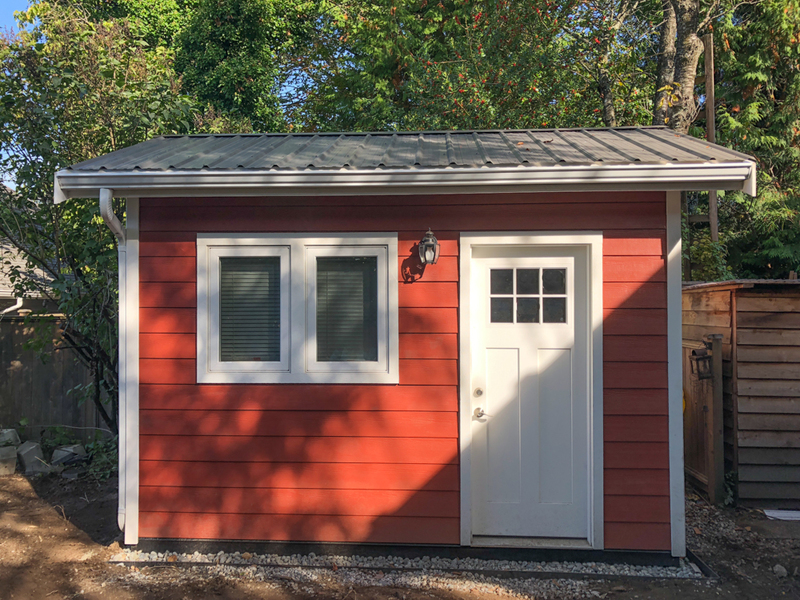 This craftsman style shed was built to give the client as storage area, as well as a workshop. It features hardi’s pre-colored fibre cement siding. 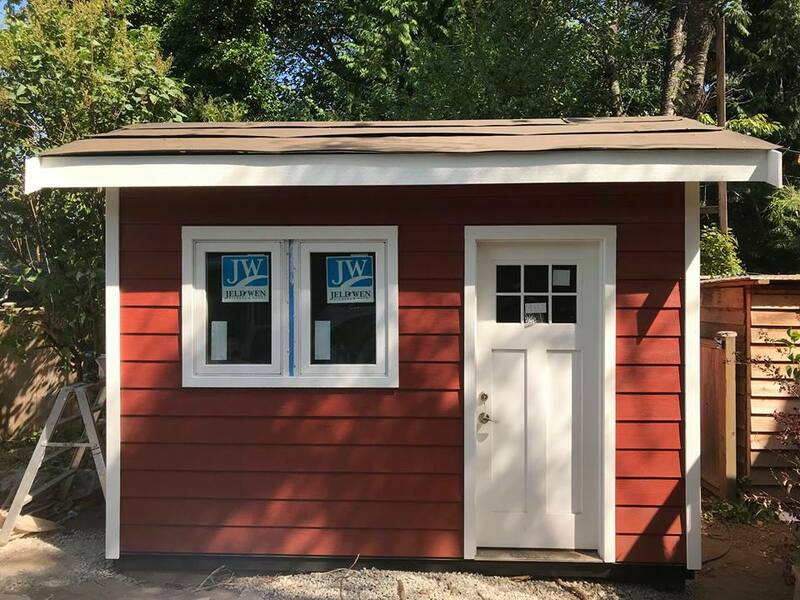 From the 26 available pre-colored colour choices the client’s chose the red option, to add a bit more wow to their shed. In the end the client’s ended up painting their house to match.